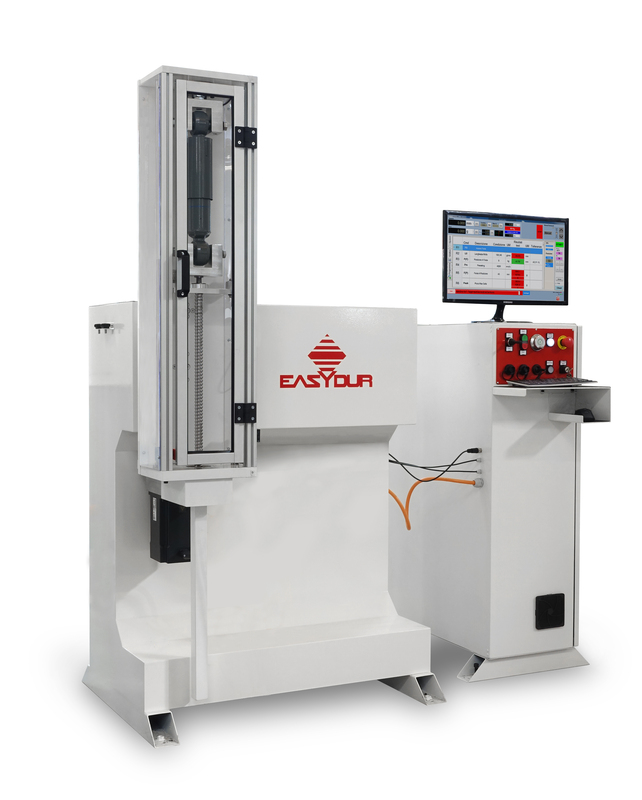 FAT – Shock Absorber is an electromechanical machine for fatigue tests with brushless motor and ball screws, designed to measure forces in extension and compression and that is suitable for tests on shock absorbers. The machine can work at different degrees of inclination, thanks to a rotating chassis, from a vertical position to a horizontal one with automatic regulation of the working stroke, from 200 to 900 mm. Electromechanical instrument for fatigue test, particularly suitable for tests on shock-absorbers. Measures forces in extension and compression and allows working at different angles, thanks to it rotating structure.